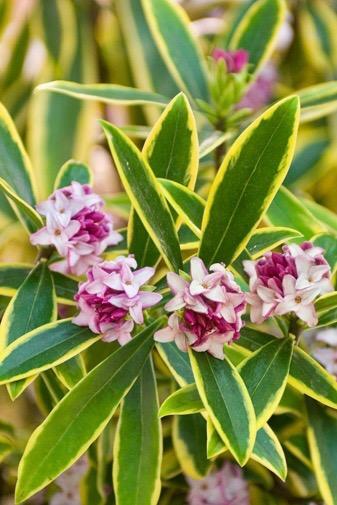 Wonderful rich cream margins, evergreen bold foliage. Deep pink buds opening to pale pink flowers, richly scented, March to May. 1.2m tall. Sun or semi shade. Avoid cold winds. Prefers good soil.